Zanele Muholi’s Somnyama Ngonyama presents a compelling and visionary mosaic of identities, an exquisite empire of selves. 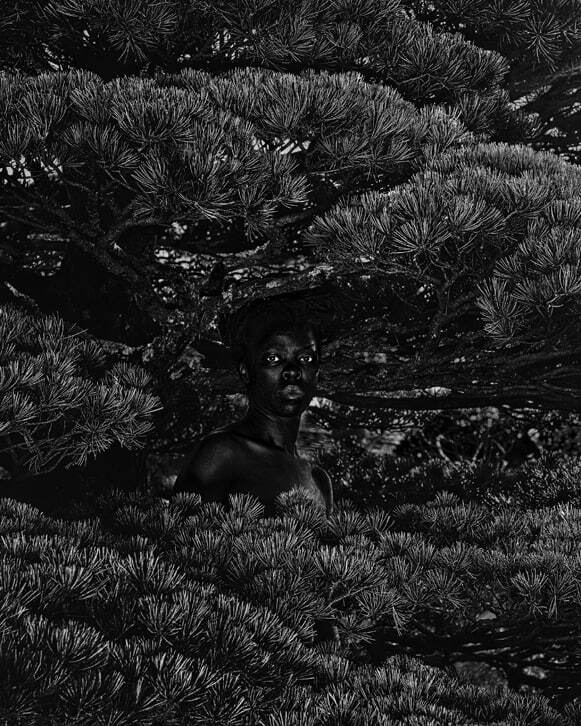 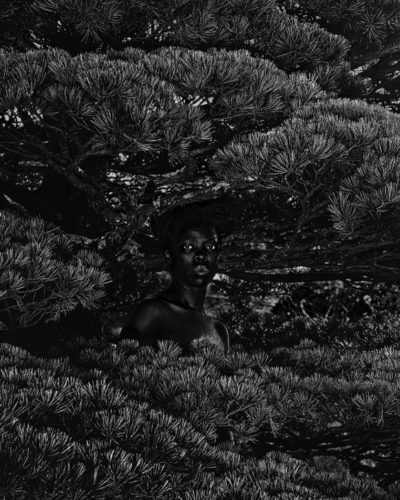 Inviting us into a multi-layered conversation, each photograph in the series, each visual inscription, each confrontational narrative depicts a self in profound dialogue with countless others: implicitly gendered, culturally complex and historically grounded black bodies. 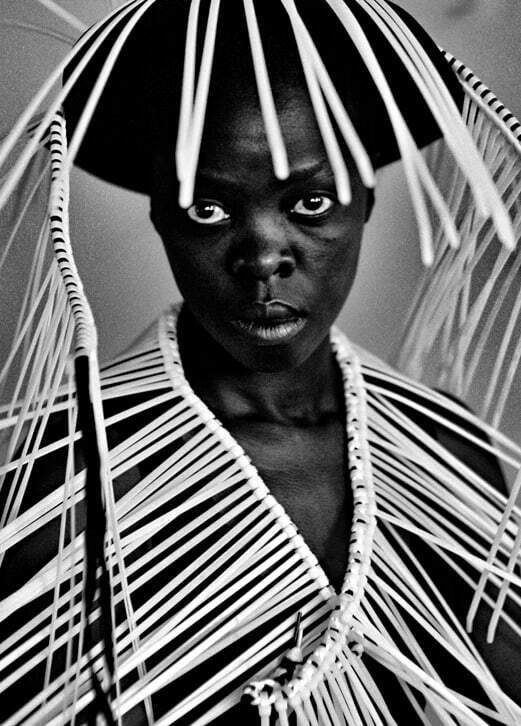 Born in 1972 in Umlazi, Durban, Muholi lives in Johannesburg, South Africa. 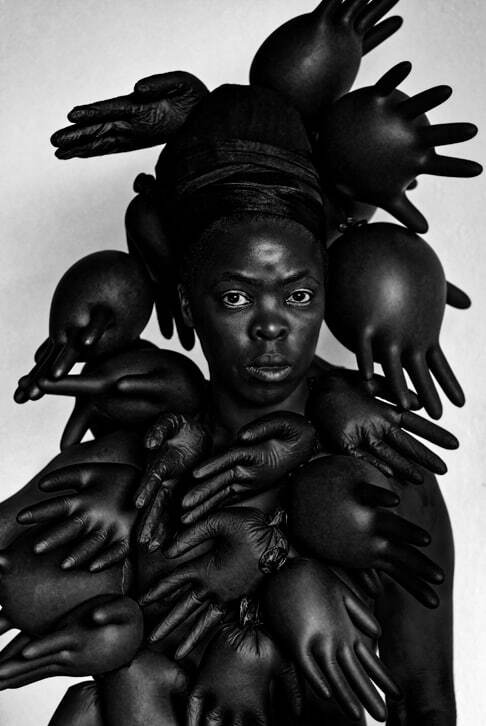 A visual activist first and foremost, she co-founded the Forum of Empowerment of Women (FEW) in 2002, followed by Inkanyiso, a platform for queer activist and visual media, in 2009. 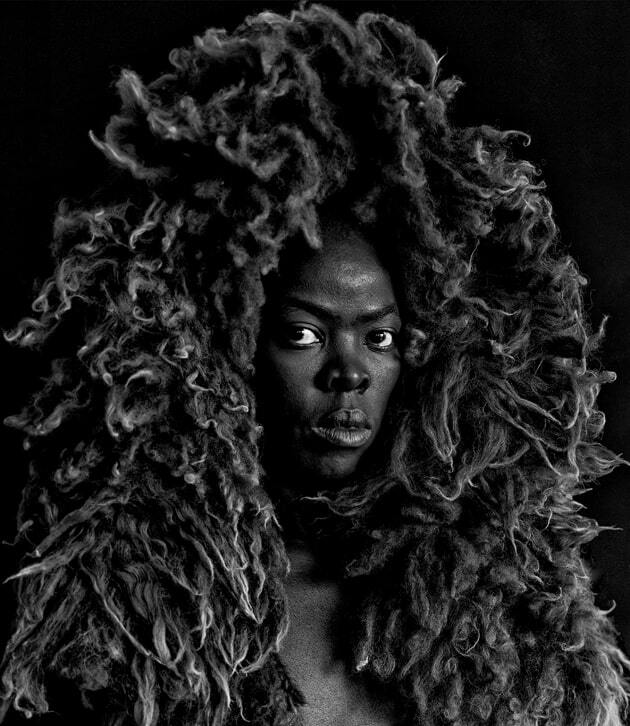 After studying Advanced Photography at Johannesburg’s renowned Market Photo Workshop, she quickly established herself in the international art world as one of the most exciting, courageous and politically committed practitioners on the continent, tirelessly documenting the lives of LGTBQI individuals in South Africa, and beyond. 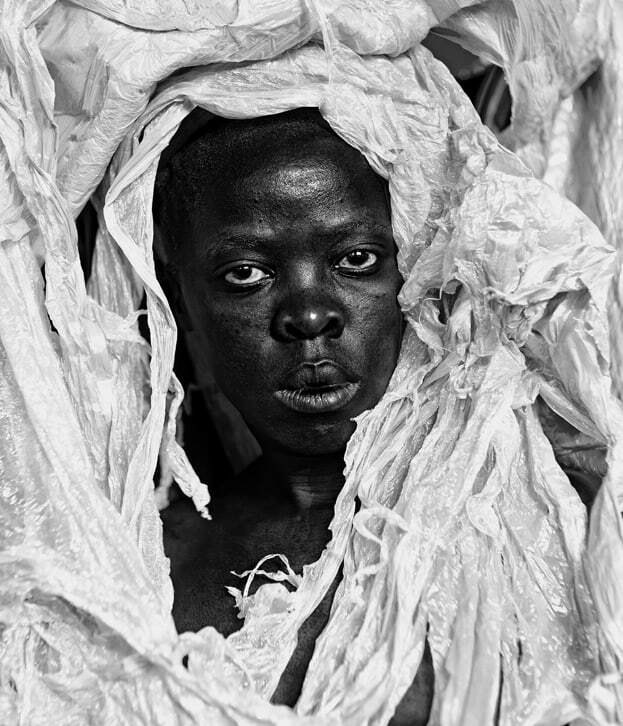 After a decade of photographing her community and living a nomadic life that saw her perpetually on the road, endlessly promoting her practice across the globe, Muholi becomes both image-maker and protagonist in her photography: a point of departure from her previous work, one might argue, the creation of Muholi’s intimately powerful visual memoir – or Archive of The Self – ushers in a new genre of socially-engaged self-portraiture, where each and every portrait poses critical questions about social (in)justice, human rights and contested representations of the black body, confronting the viewer with a stance that is at once personal, and political. 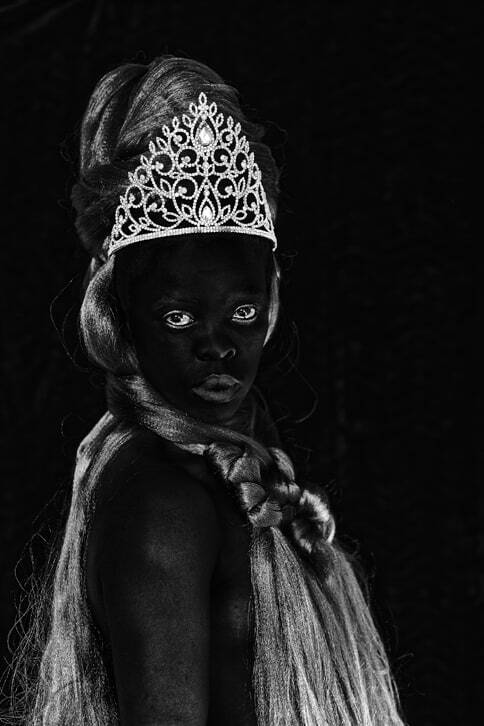 These self-reflective and psychologically charged portraits are unapologetic in their artistry, unafraid in the open(ended) dialogue with the ‘image archive’ they conjure. Throughout the series, Muholi’s piercing gaze and the dark complexion of her skin become the focal point of a multilayered interrogation into complex notions of beauty, desire and the dangerous terrains, racisms, and interlinked ‘phobias’ navigated daily. Inspired by personal experiences and socio-political events globally, Muholi offers scathing reflections on ‘black resistance, black insistence and black existence’ – a visually seductive call to arms, a protective mantle, a necessary reclamation, an occupation, manifesto and invitation: these portraits are, essentially, about courage – the courage to emerge, the courage to resist, the courage to persist, the courage to see, to step in front of the camera, to “face oneself”. 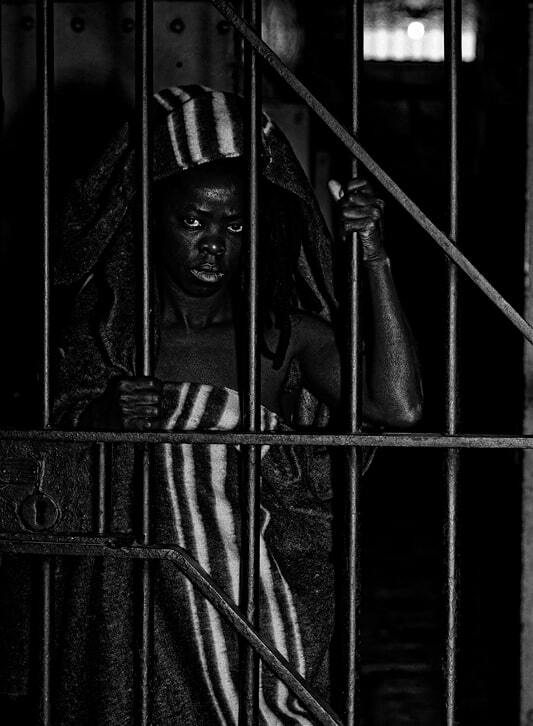 In Somnyama Ngonyama – isiZulu for ‘Hail the dark Lioness’ – ready-made objects and found materials are transformed into culturally loaded props, often commenting on specific moments in South Africa’s history such as the calamitous 2012 Marikana Massacre or the pivotal 1956 Women’s March on Pretoria, while also evoking her own family background via her mother’s 42-year tenure as a maid working for the same white South African family under apartheid… scouring pads and latex gloves address themes of domestic servitude and racial inequality while simultaneously alluding to sexual politics and the suffocating prisms of gendered identity; rubber tyres, electrical cords or cable ties reference forms of social brutality, violence and capitalist exploitation, and powerfully highlight the plight of workers – from maids to miners and members of other disenfranchised communities. 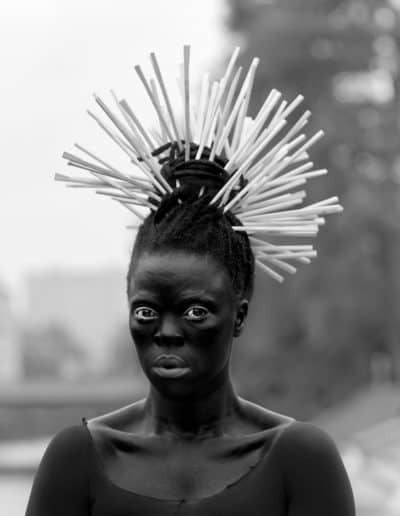 Using different artefacts – chopsticks, can lids, safety pins, plastic bags or polythene wrapping – Muholi draws attention to urgent environmental issues, climate change and toxic waste, at times employing a sinister and tragicomic humour to make her point. 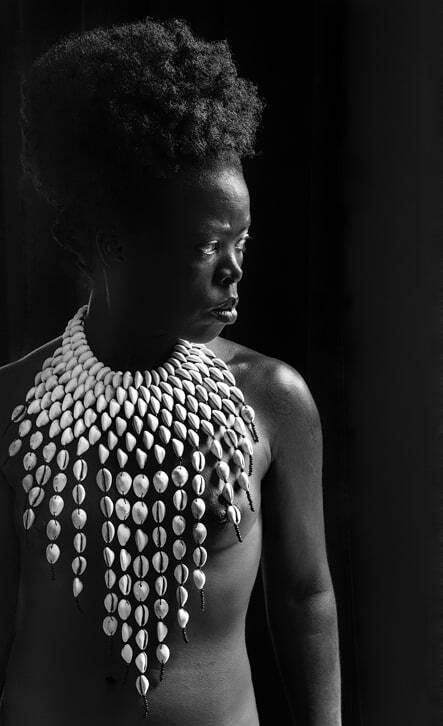 Accessories such as cowrie shells or beads highlight Western fascinations with clichéd, exoticised representations of African cultures and people as well as the global economies of migration, commerce and labour. 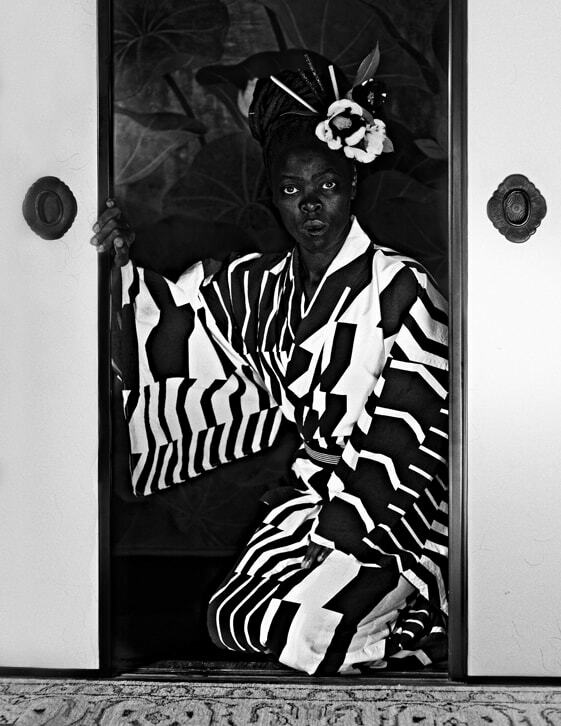 However, the possibility of any fixed geo-political readings/positioning is quickly interrupted by the introduction of a Kimono or giant Bonsai tree, and the continual transgression of cultural boundaries, traditions, and identities. 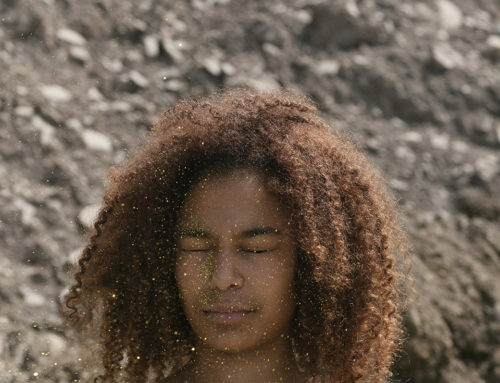 by Renée Mussai, Senior Curator and Head of Archive & Research at Autograph ABP. 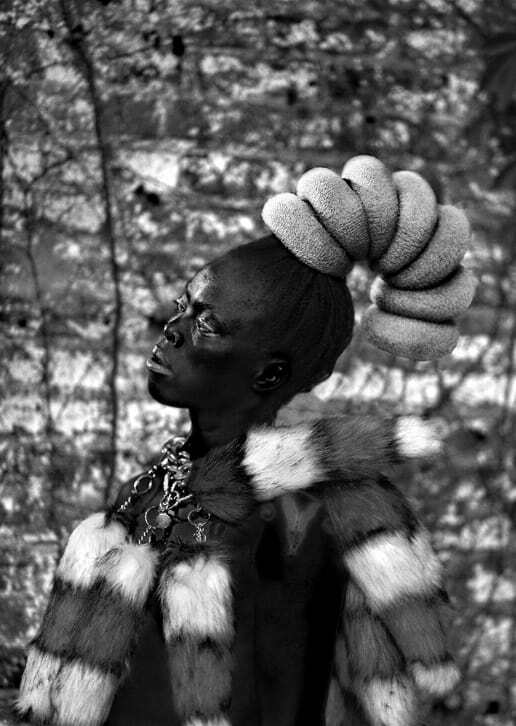 All images: © Zanele Muholi. 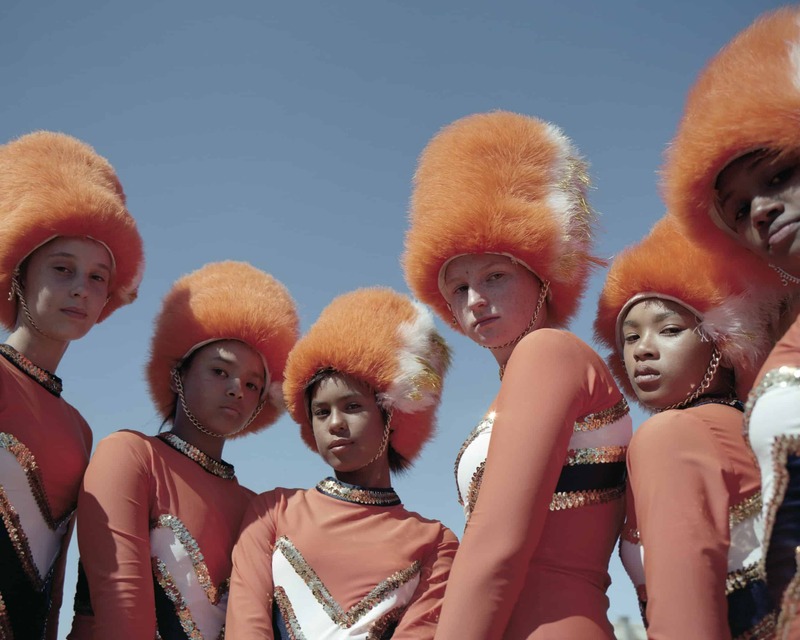 Courtesy of Stevenson, Cape Town/Johannesburg and Yancey Richardson, New York. 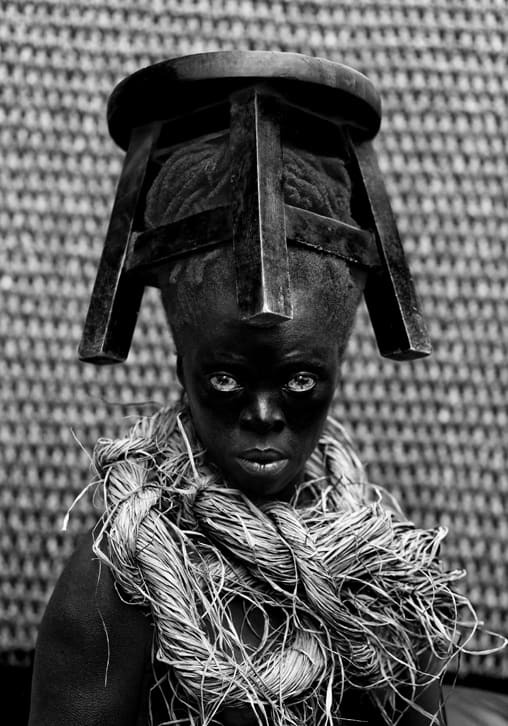 Except for ZaKi and Bayephi I and III: © Zanele Muholi. 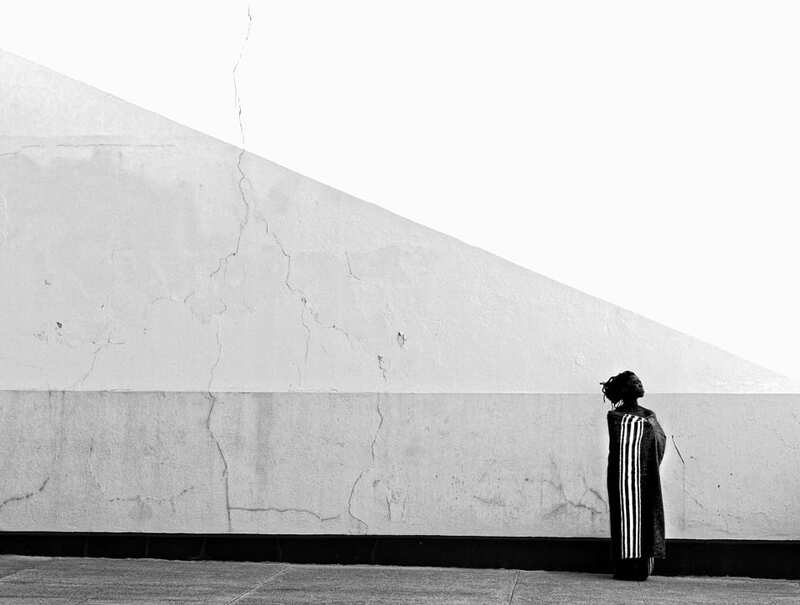 Courtesy of Autograph ABP, London. 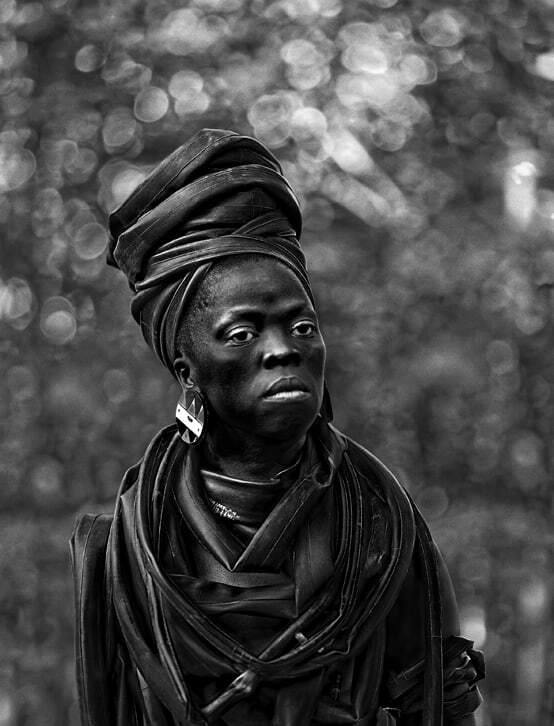 Zanele Muholi was born in 1972 in Umlazi, Durban, and lives in Johannesburg, South Africa. She co-founded the Forum of Empowerment of Women (FEW) in 2002, and in 2009 founded Inkanyiso (www.inkanyiso.org), a forum for queer activist and visual (activit) media. 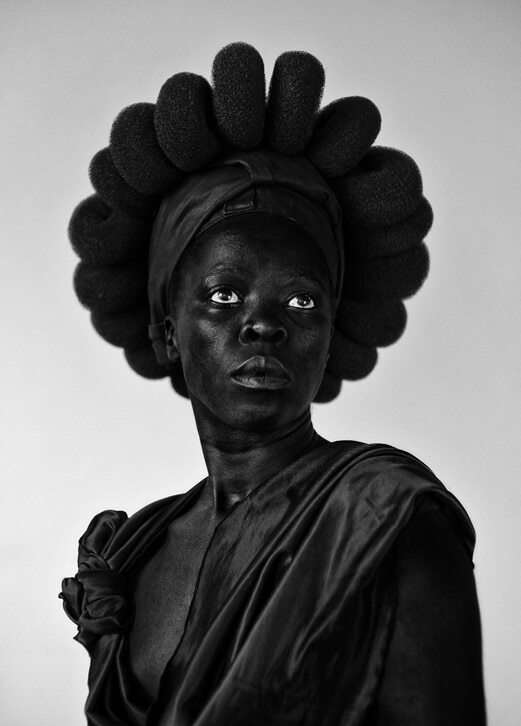 Muholi studied Advanced Photography at the Market Photo Workshop in Newtown, Johannesburg, and in 2009 completed an MFA: Documentary Media at Ryerson University, Toronto. She is an Honorary Professor at the University of the Arts Bremen, and has been the recipient of the prestigious Prince Claus Award and the Carnegie Fine Prize. 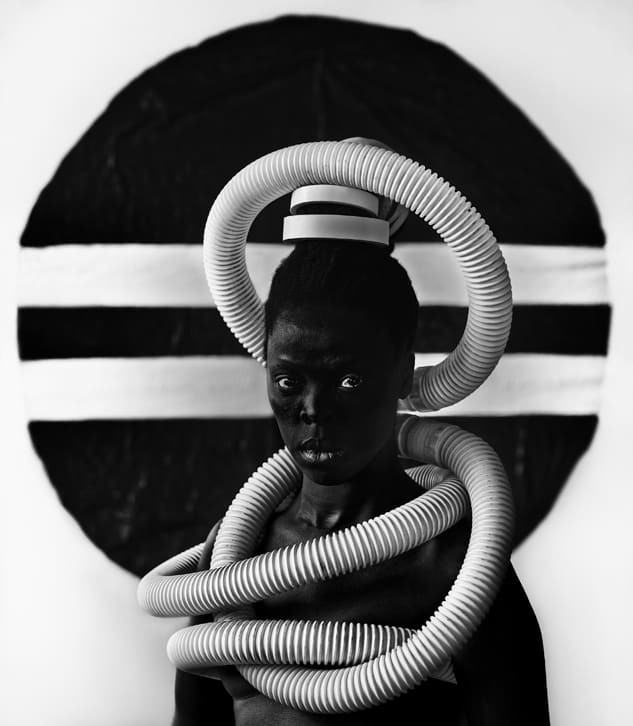 Muholi sees her practice as visual activism to effect social change. 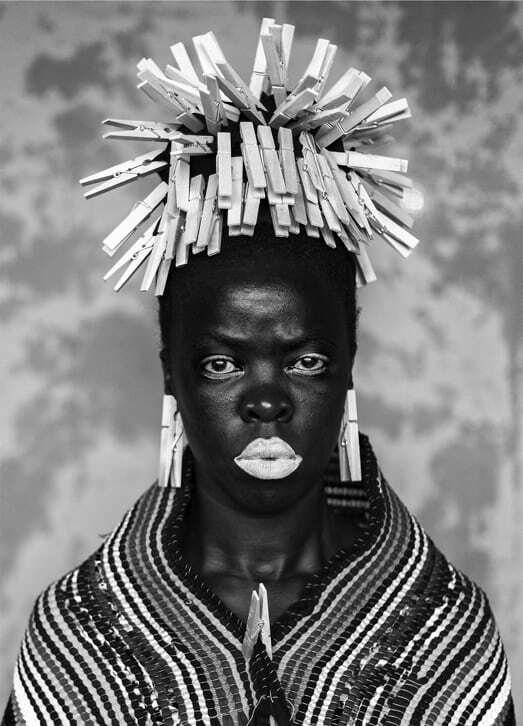 Over the past decade, she has become known globally with Faces and Phases, her pioneering portrait photography of South Africa’s LBTQI communities. 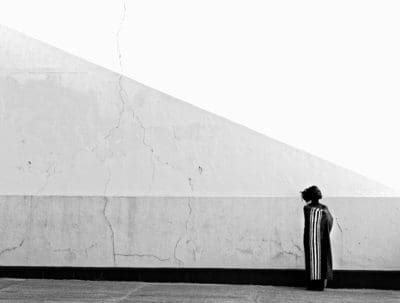 She was included in the South African pavilion at the 55th Venice Biennale (2013) and took part in the São Paolo Biennial (2010), documenta 13, Kassel (2013) and, most recently, Kyotographie: International Photography Festival, Kyoto, Japan (2017). 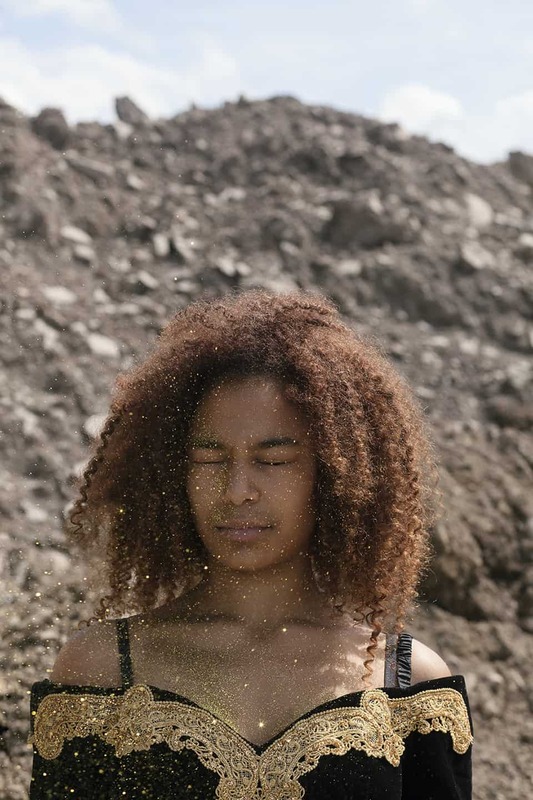 Selected solo exhibitions include the Brooklyn Museum in New York (2015); Open Eye Gallery, Liverpool (2015); FotoFocus Biennial, Cincinnati, USA (2016), Rencontres D’Arles (2016); Wentrup, Berlin, Germany (2017); and a forthcoming retrospective at the Stedelijk Museum in Amsterdam (2017). 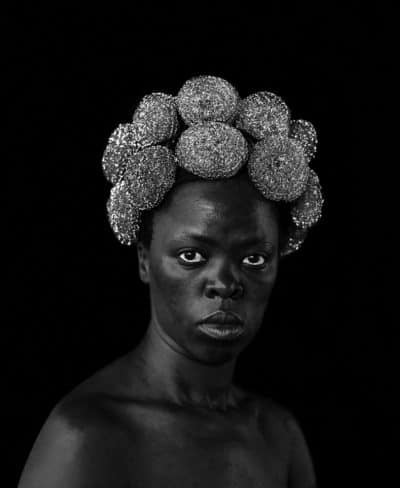 She has shown her work internationally in institutions such as Kunsthalle Wien, Vienna; Seoul Museum of Art, Seoul; Kunsthal Rotterdam, Rotterdam; Deutsches Historisches Museum, Berlin; BOZAR, Brussels; Guggenheim, New York; Tate Liverpool, and Tate Modern, London. Her photographs are represented in museums and collections, including Boston Museum of Fine Arts; Centre Georges Pompidou, Paris; Guggenheim, New York; Margulies Collection, Miami; Museum of Contemporary Photography, Chicago; Museum of Modern Art, New York; South African National Gallery, Cape Town; Walther Collection New York/Neu-Ulm; and Tate Modern, London. Her latest monograph, Zanele Muholi: Somnyama Ngonyama: ‘Hail, the Dark Lioness’, will be published by Aperture (New York) in spring 2018. 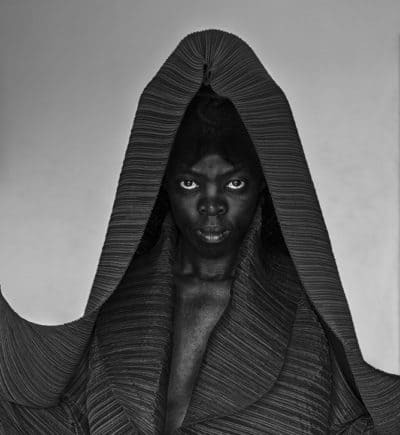 She is represented by Stevenson Cape Town/Johannesburg and Yancey Richardson, New York.